JBL and Harman Kardon are well known audio brands who tend to deliver some of the best devices on the market. If you don’t know, Samsung recently picked up the company but has left it alone to continue with business as usual. That is not a bad thing at all. 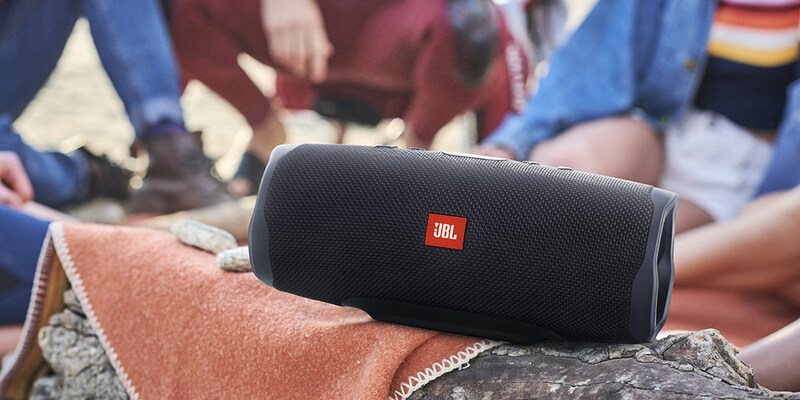 With IFA 2018 in full swing, both JBL and Harman Kardon have announced a handful of new and interesting devices. Check out the rundown below! First up is the Citation Series of speakers which are made up of eight different SKUs: the Citation ONE, Citation 100, Citation 300, Citation 500, Citation BAR, Citation SUB, Citation Tower, and Citation Surround. This series of speakers are designed to be sophisticated and innovative at the same time. 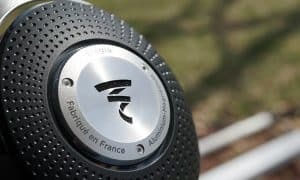 The speakers feature the brand’s signature industrial design accented with thoughtful elements, including aluminum detailing. Bringing the refined and sleek look together is the Winter Gray or Classic Black wool fabric from Kvadrat, the European leader in acoustic textiles, that are dirt-repellant and flame-retardant. 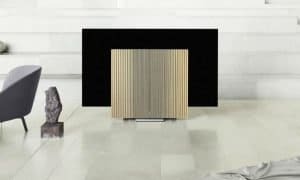 The company says that this “timeless” design marries Harman Kardon’s expertise in sound engineering and technology with the style and sleekness of Kvadrat. 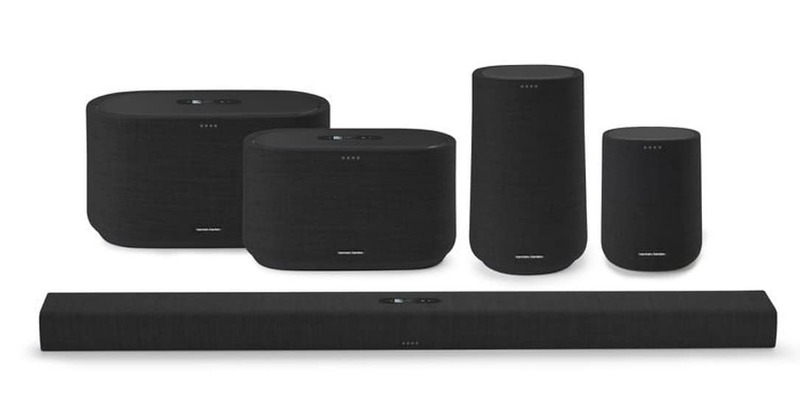 The Citation Series brings a flexible listening experience with the ability to use the speakers alone or by pairing them and building a 5.1 channel surround system. 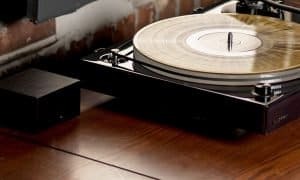 Their multi-room capabilities allow for the control of sound from any room, either playing from one music source or playing different tracks in different rooms. The Enchant Soundbar Series is the company’s home entertainment offering which looks really promising. The Enchant Series has three SKU’s the Enchant 800, Enchant 1300 and the Enchant SUB. Chromecast is also built-in giving you the ability to have multiple speakers work together. 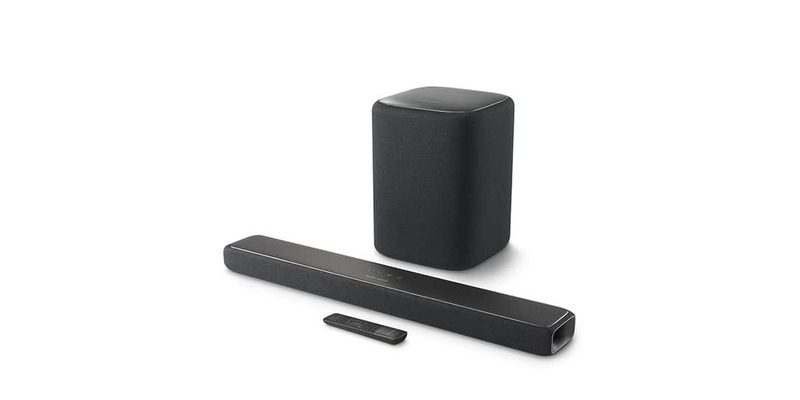 Harman Kardon’s proprietary MultiBeam technology utilizes a digital processing algorithm (DSP), which allows Enchant soundbars to provide a surround sound experience without additional speakers. The DSP, in conjunction with side-firing transducers, forms a sharp decoded audio pattern, beaming sound off the walls on all sides of the room to create an exciting, immersive surround sound experience. All-new Automatic MultiBeam Calibration (AMC) wirelessly adjusts to the unique dimensions of the room instead of an old-school remote microphone. Enchant soundbars are available in 13 and 8 channel versions, the Enchant 1300 and Enchant 800, to fit any size television. An optional Enchant wireless subwoofer is also available for consumers that are looking to amplify the bass in their favorite programming. The Enchant 1300 and 800 have a sleek silhouette that features side-firing tweeters to enable the immersive surround sound experience, alongside its angled drivers and bass ports to provide superior audio. This unique technology enables the all-in-one bars to deliver deep, rich bass without a subwoofer—whether watching a movie, playing a game, or listening to music. Available in two thoughtfully designed models to complement televisions of all sizes, the Enchant series elevates the entertainment experience and embodies the premium, classic aesthetic of Harman Kardon. The Enchant series will be available this fall on Harman Kardon’s website and the pricing is below. The JBL side of the brand is a little more playful than the sleek HK side. That can be seen in the new JBL Party Box series. There are two SKU’s on this series. The Party Box 200 and the Party Box 300. The idea here is to bring your sound anywhere at any time. The Party Box series both have vivid lighting effects built-in for those nighttime dance parties. Or you can plug in your own mic and instrument to rock the night and be your own music star. Here’s a rundown of the features of the Party Box series. 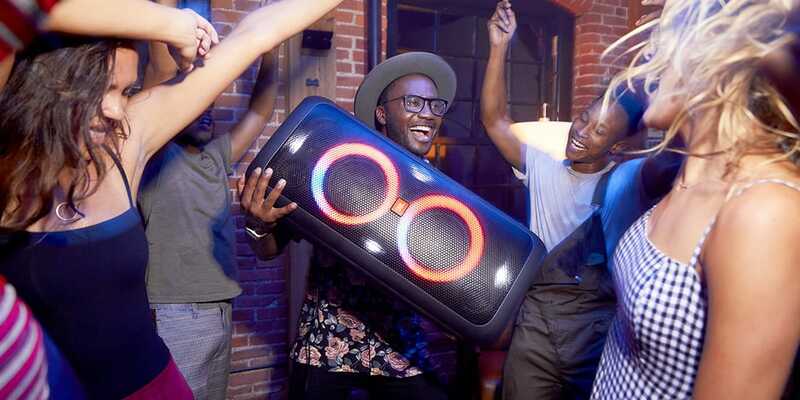 Get the party started with the JBL Party Box! USB playback – Pre-program your party or event with your favorite playlist from a USB thumb drive! Both the Party Box 200 and Party Box 300 will be available in October on JBL’s website priced at $441USD and $523USD respectively. Finally, there’s the Charge 4. I really love JBL’s Charge series. It’s one of the best Bluetooth speakers on the market. This guy is waterproof with 20-hours of battery life. You can also charge your phone with this speaker using it as an external battery. The Charge will have ten color options: Desert Sand, Mustard Yellow, Dusty Pink, Grey Stone, River Teal, Fiesta Red, Ocean Blue, Midnight Black, Steel White, and Forest Green. 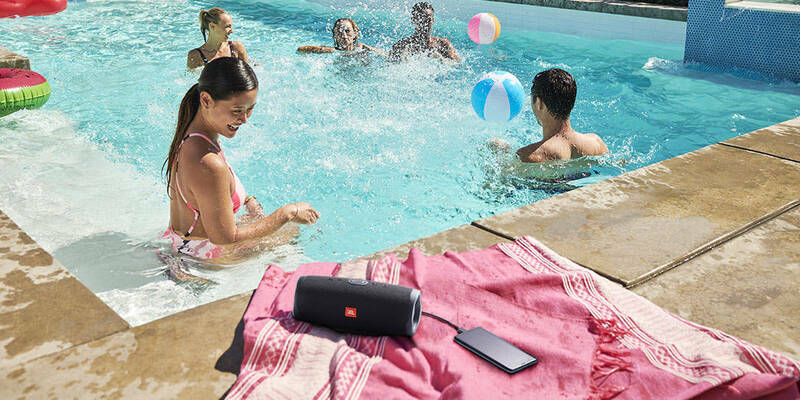 The JBL Charge 4 will be available in October with an MSRP of $208USD. 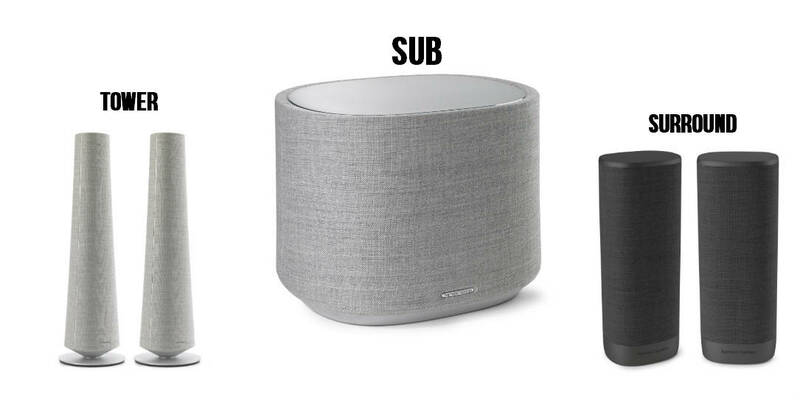 What do you think of these new devices from Harman Kardon and JBL? Let us know in the comments below or on GooglePlus, Twitter, or Facebook.